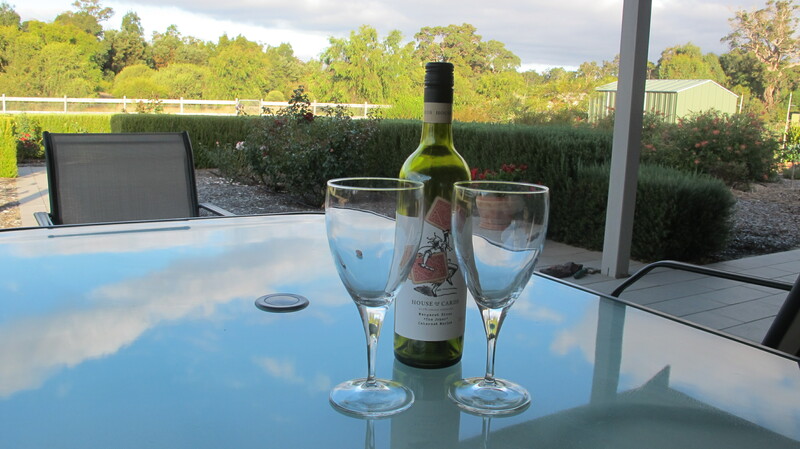 It is almost wine o’clock. House of Cards, Cab Merlot Margaret River region. Cheers everyone. Have a wonderful Easter holiday with the people you love. Lately I have been thinking a lot about relationships, the construct of “family” and how we find our place in the world. It is not easy. We don’t get a manual on how to live a good and full life, we have to try things out for ourselves – and hopefully along the way we do no damage and we learn and grow. I suppose we have our peers to set examples- but often they are just trying to figure it out for themselves. A good place to start developing into the adults we want to become is to practice the art of self love – and it is an art, something to practice and practice till it flows easily for without it we are stunted emotionally, we are unable to give freely of ourselves and our ability to love another is restricted. I think self happiness and selfishness are under rated, often these qualities are attached to negative images. Why? I wish I knew. Why do we need quotes or references such as the one above to remind us to care for ourselves? Is it because as children we were constantly reminded to share and not be selfish? To think of others before our selves? To put our needs last. Is it because a lot of us baby boomers have parents who lived through a depression or war and experienced frugality, hardship and rations? Sharing was necessary. Selflessness was expected as there were others worse off than you? Be grateful. We need to make changes. I am not suggesting that we become hedonistic creatures of exaggerated self importance but merely that we need balance in our life. The more we are happy with our own existence the more we can share with others, the more love we will attract – love begets love. In essence, you, your family, the community will be better for the sharing of love that starts at home – within yourself. Give yourself a mental hug today. You are worth it. You are great! Tell someone you love, you love them. Love you babe. Love you both my darling girls. Feels better already doesn’t it? This was a very sad and poignant read – Steinem writes a very empathetic story about the life and death of this tortured and fragile individual and reveals more about Marilyn Munroe (stage name of Norma Jeane) than we are usually presented with, more than mere gloss, Hollywood hype and cheesecake photo shoots; Steinem reveals the ghosts of Norma Jeane’s past that so critically affect the adult Marilyn Munroe. Norma Jeane had a tragic and emotion deprived childhood – she grew up in a series of babysitters and relatives homes, often only seeing her mentally unstable mother on weekends. When her mother was hospitalized Norma Jeane continued to flit from home to home, from relative to relative to family friends, foster care and an orphanage (where Marilyn alleges she was sexually assaulted at the age of 8). She later lived with a distant relative – an aunt who encouraged the teenage Norma Jeane to marry the boy next door (for security and protection). Norma Jeane was just sixteen. The adult Marilyn continued to look for happiness, security, love and approval in her many marriages. Steinem’s account of Marilyn Munroe’s life is one that shows talent, promise, intellect, neediness and insecurity; a complex individual largely a victim of her unstable upbringing and the social mores of the time that defined women as mere homemakers, sexual objects, and dependant. I was surprised to hear of Marilyn’s political voice, her activism – writing letters to the editor, using her fame to influence decision makers, “she told us of her strong feelings about civil rights, for black equality…..her anger a red baiting…. ( p.72) Steinem shows us a Marilyn that is not obvious in the public persona, the actress whose roles largely related to the one dimensional “dumb blonde”. I enjoyed learning that there was more to Marilyn than was obvious or that was portrayed in the media. Steinem has cleverly created a narrative that allows the reader to step back in time to see the world through Marilyn’s eyes. Despite the fact that Marilyn Munroe died fifty one years ago her name and image remain fresh in our minds. Marilyn’s life made an impact on Hollywood and popular culture and the manner and timing of her death, whether accidental or murder or suicide, will intrigue the media hungry public forever (or until a suicide note is made public or a conspiracy plot is revealed). Steinem suggests (p. 96) that after Marilyn’s death it is “likely that Peter Lawford employed a private detective to sweep the house… and to destroy any evidence embarrassing to the Kennedys, including a suicide note or unfinished letter.” The intrigue and mystery lives on, the legend of Marilyn Munroe, screen goddess, still very much alive. Dempsey and Bob – two cuties – who could resist those beseeching eyes? re-emerged from a five-year hiatus—a killer who has already slipped her grasp once before. The newest murder, signed with the fiend’s barbed-wire calling card, has sent authorities on a desperate chase to find the killer. But when Jess finds her own name written in blood at the crime scene, it’s suddenly, chillingly clear that she’s no longer the hunter—but the hunted. With the assistance of local detective Oscar Linstrom, an old colleague who wants to be more than friends, Jess must ingrain herself back into the provincial communities of the Great North to overcome their distrust of outsiders, and save herself if she wants to see another sunny Alaskan day. A compelling and heart racing, fast paced, action packed crime bonanza; this story leaves the reader with little time to breath whilst hastily turning pages. The murders are savage, bloody. The heroine, FBI agent Jess Harding, once the hunter now the hunted is desperate, determined and ruthless in her pursuit of the killer. She will not let him win. Harding fights sexism, discrimination and crime with a tough, take no nonsense attitude. She is fit, feisty and only concerned with one thing; bringing this killer to justice. Believe me you want her on your side. Set in the height of the Alaskan summer and its long bright nights we are transfixed by the wildness and isolation of the countryside; a land of hiking and float planes and flourishing tourism that is marred by the bloody redness of death. No young woman is safe be they from the city or the rural towns. When Agent Martinez is asked “You see anyone in these you think could have done this?” He replies “I’m from Ohio and hunted as a kid, but these folks up here kill bears and eat them. I don’t know what they’d do.” ( p.68) Add to the mix a cult like community that doesn’t abide interference, strangers and most certainly not the FBI, salt liberally with a hint of romance and you have a mystery that is bewitching, deadly and intriguing. An exciting and exhilarating read, you will not want to stop reading until you reach the satisfying conclusion. 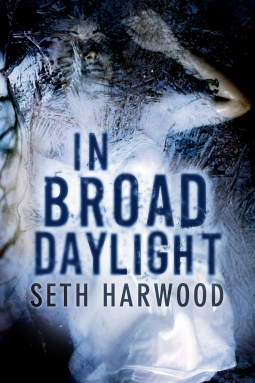 Seth Harwood is a crime writer to add to you must read list. Something in the prologue of this book warned me that something terrible was about to be revealed. I recognised the room (I have been a social worker/youth worker/refuge worker in the past and knew where that room was, what it was.) My interest was stirred but I was hesitant to proceed, in fact I did procrastinate quite a bit before picking this book up again. I do not enjoy reading “lifelike” tragedies- I feel too much. And this book certainly made me feel. My chest tightened as I read the first forty or so pages – the pages describing the time up to what was to be referred to as “the event”, the unspeakable act…I knew what was coming. I couldn’t breathe. I ask myself, is it my studies or work history or my own experience of childhood/motherhood that instilled this tension within me? Would a childless woman or a man be so affected by this script? I don’t know I can only read and interpret the world through my eyes, my experiences. An emotional and tension packed introduction to a topic that no one mentions out loud. (I deliberately avoid “spoilers”) It is time the taboo was broken and maybe this book will be the catalyst that will drive this conversation into the open. It is a conversation mothers should have with their daughters, and daughters should have with their friends and partner. It is a subject the world should be talking about and thinking about and changing. Each one of us can help create this change. Back to the book – emotional, VERY. A suspenseful start, a sad, sad truth then unfolds – the truth about the event itself and the truth how others respond to this situation. We see through the reactions of the other characters; the mum, mother in law, husband, friends etc how they responded, the responsibility they did not embrace. I hope I would react differently. It is a credit to the author that the characters evoke such strong reactions: I hated the mother in law, her smugness, her selfishness, her inability to show her feelings, her lack of charity. I wanted the husband to be berated- he was selfish, he did not respond the clues and hints that something was really not right and he did not intervene; he went to work. I was angry that society put so much pressure on women, especially young women – to be pretty, thin, perfect, caring, a housewife, a provider, a mother, a cleaner and unselfish. I felt so sorry for the Anna. I felt she had been let down by all those around her – and had been since a child. “Life is fine”, we have that throwaway line spoken everyday; listen. We all cope when everything is going well, it is not until we are tested that the fractures begin to show. I think this novel demonstrates the need for more honesty in life and relationships and the fact we – men and women have forgotten how to ask for help and maybe some of us have forgotten how to respond. A great read – keep the tissues handy.